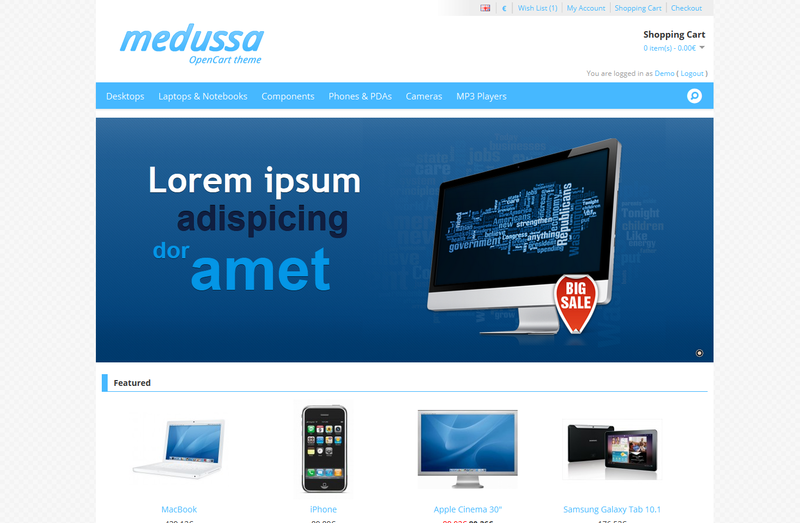 Medussa (despite its name) is a very clean, polished theme with an almost flat (metro-like) interface, great usability and slick animations (without actually turning into Windows 8). 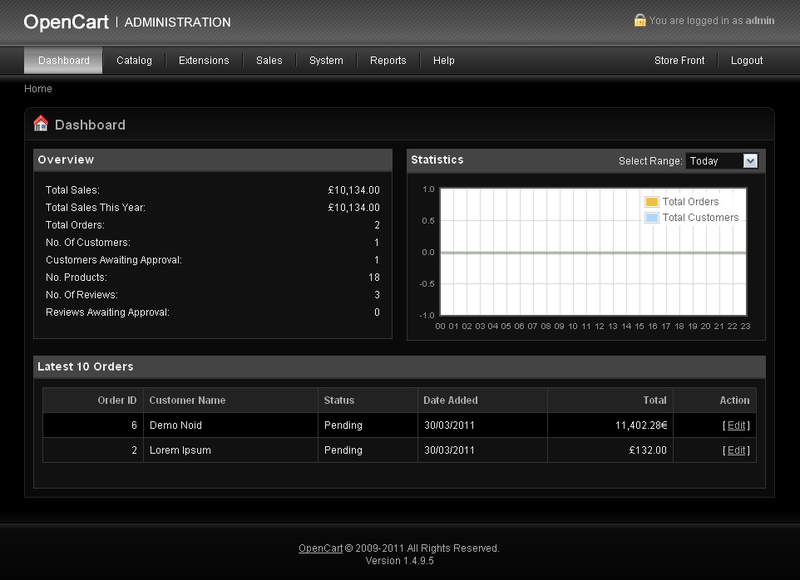 Main colours are: Blue, Gray, White; but fear not, they are all configurable through the theme’s integrated administration module. 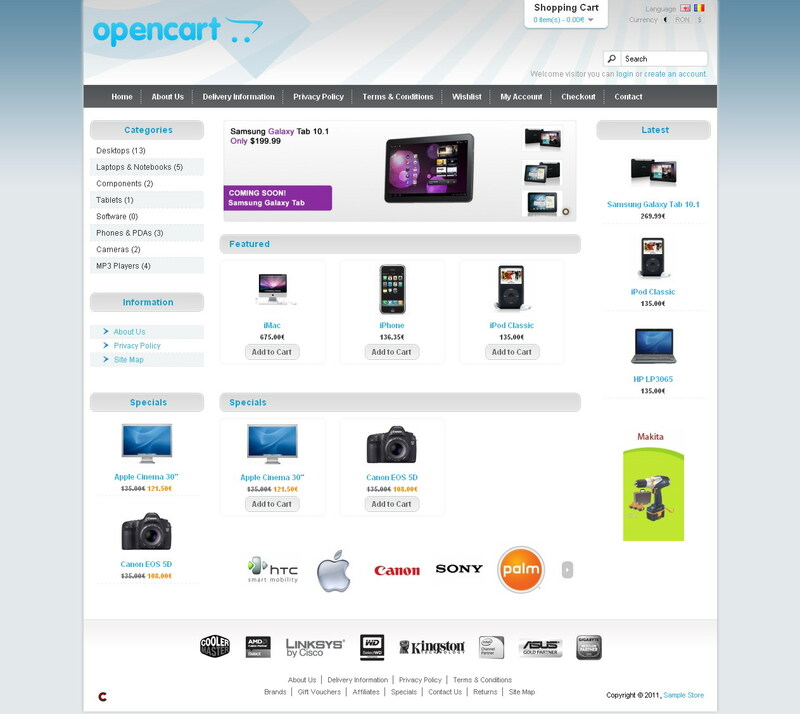 The CR2 Shine and CR2 DarkShine themes for OpenCart have been updated to support the latest 1.5.3 and 1.5.3.1 OpenCart versions. 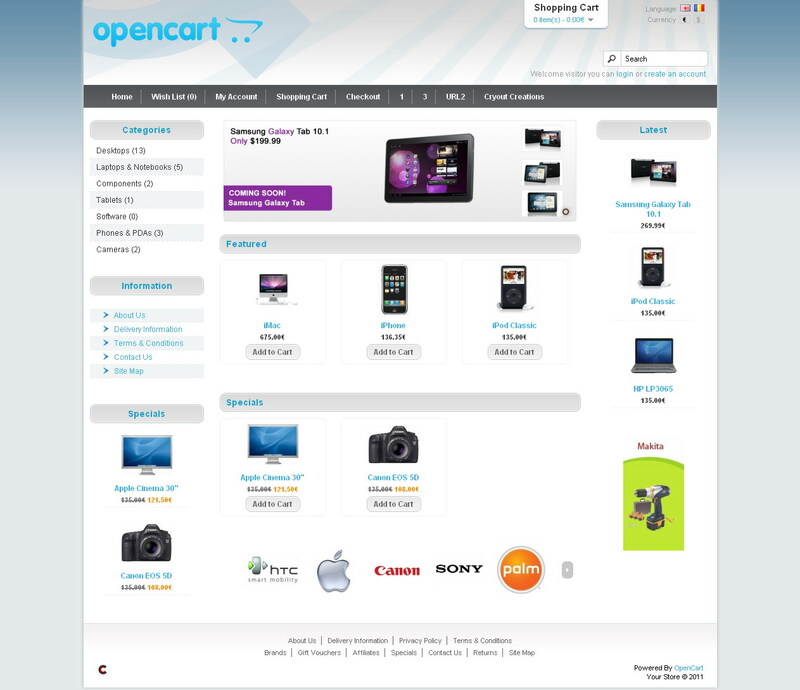 We’ve finally tested HTML Module Tripack and we deem it compatible with OpenCart’s latest release. 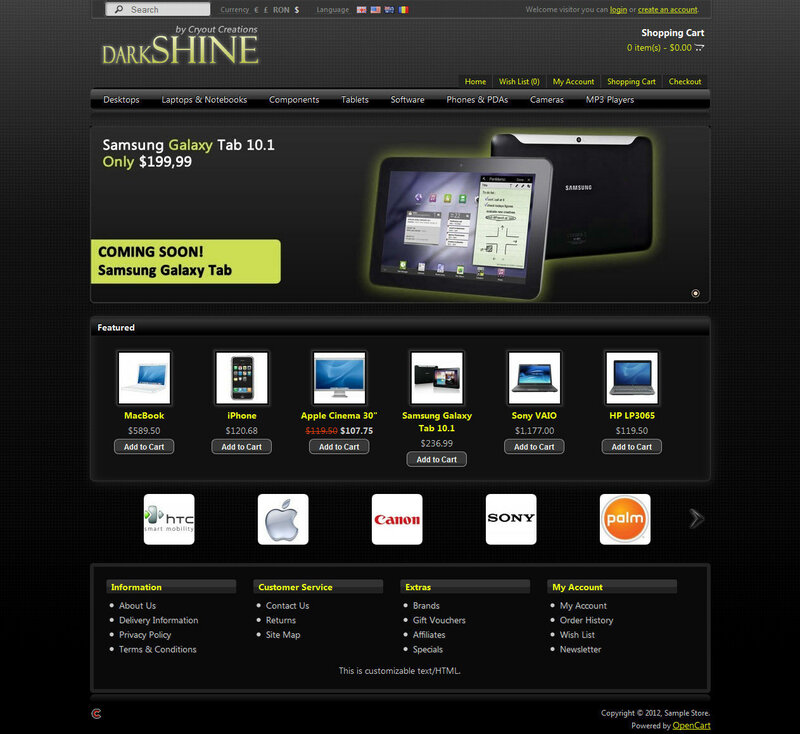 Also, we have updated AdminGray to support 1.4.9.5 and we are releasing a new admin theme, AdminNoir, the darkest dark theme ever 🙂 You can download AdminNoir from the OpenCart Themes Directory.